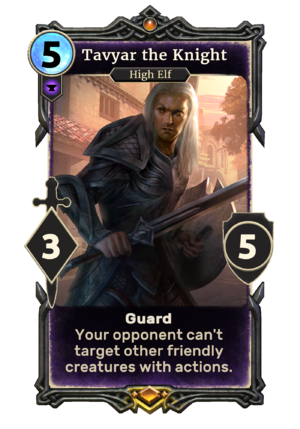 Tavyar the Knight is a unique legendary Endurance creature card. It is part of the Isle of Madness story set. It acts as a double card in your deck with Rayvat the Mage. "Out of my way worm."